If you know you're going to be short on time, I Love Park and Deliver parking does exactly what it says on the tin and it's a super convenient Gatwick Parking option. Simply drop your car off at the car park where a fully qualified driver will park it for you, and hop on a free 5 minute transfer bus to the terminal! 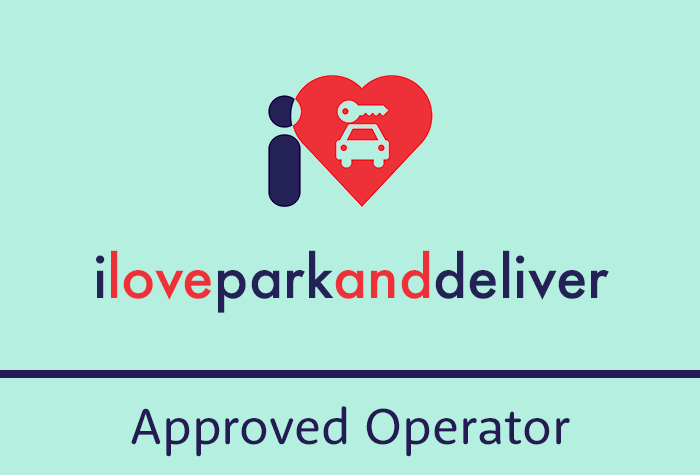 Our customers rated I Love Park And Deliver Parking on average 10/10 (8 reviews). Read I Love Park And Deliver Parking reviews. Drop off at the car park and collect your car from the terminal forecourt. Park in one of the arrival lanes outside the office at the car park, check in and drop off your keys. Your car will be parked for you while you get the shuttle bus to the terminal. The bus runs on demand when its needed and goes to both terminals. Its included in the price and takes less than 5 minutes. When you land back give the car park a call and theyll bring your car back to the Approved Operator lane at the terminal forecourt. If you have accessibility needs the car park will upgrade you free of charge to a full meet and greet service. Give them a call once youve booked. The car park also holds the Park Mark award for security, is an airport Approved Operator and is Trading Standards Buy with Confidence accredited. The car park unfortunately cant accept licensed taxis or long-wheelbase vans. Full driving directions and a postcode for satnavs will be on your booking confirmation. Park in one of the lanes outside the office and check in, leaving your car keys. Your car will be parked for you in the secured car park while you get the shuttle bus to the terminal. The shuttle bus runs on demand, takes less than 5 minutes and is included in the price. North Terminal - exit the building on the ground floor, cross over and pass between the two car parks where you will see the Premier Inn. Wait in the lane opposite the Premier Inn where your car will be delivered to you. South Terminal - exit the building and take the lift down to the ground floor. Cross to the far lane marked Approved Operator where your car will be delivered to you.